Note: We sailed here in 2007, but we've stayed abreast of the situation and noted changes below, as of 2013. 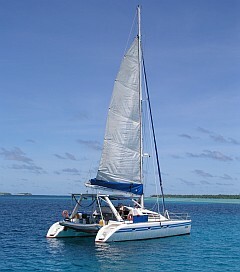 The Chagos Archipelago is a little piece of magic about 300nm south of the southernmost of the Maldives. It's officially a British Indian Ocean Territory (BIOT) and most people only know about it from Diego Garcia, the big US military base in the south. The archipelago is over 200nm long north to south but only the 2 northern atolls - Peros Banhos and Salomon - are currently open to cruising yachts. (Egmont is no longer on the permitted list.) 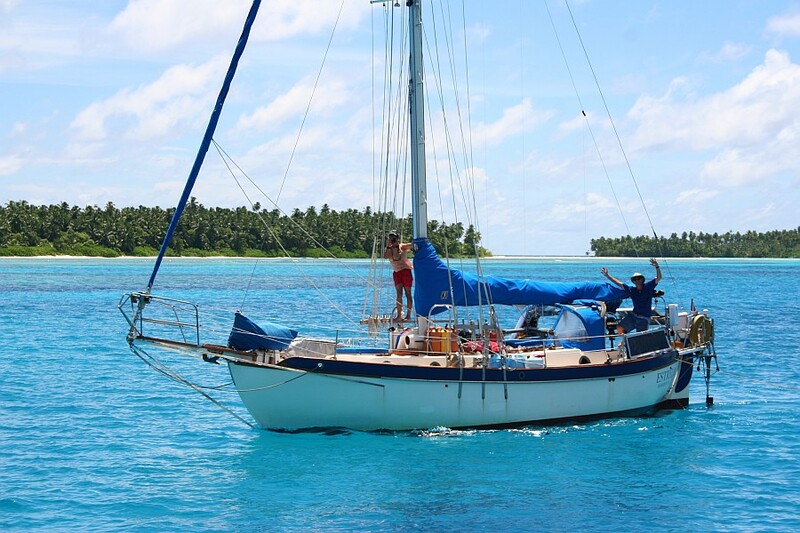 There are no people living on either atoll, but cruising yachts must contact BIOT (BIOTadmin@fco.gov.uk) and pay for a cruising permit (UK£50/week in 2013, for a maximum of 4 weeks) before arrival. As of this writing, payment had to be made via bank transfer so you can't extend your permit once you arrive unless you have an internet (satellite phone) connection. We believe PayPal is not longer accepted nor does the BIOT boat accept payment. The 2 atolls are fairly close together, with Peros Banhos about 25nm west of Salomon. Peros Banhos, at 14nm across, is several times bigger than Salomon (4nm across) but Salomon is much more tightly enclosed, giving better protection from the winds and seas. Peros Banhos is completely open to the south and east, so its anchorages are only tenable when the winds have some west in them. For more info, see Noonsite's Chagos pages. Most boats seem to prefer anchoring in Boddam (SW Salomon) despite the fact that Boddam has no sand whatsoever and anchoring is all in coral, some of it quite deep. Boddam's popularity is probably for the social life - volleyball most afternoons, picnics ashore, sundowners, etc. There was talk of BIOT putting in some moorings at Boddam, but liability issues are delaying this effort. Also, there's no recompression chamber in Chagos, so cruisers and even the military are forbidden to scuba dive (although scientific expeditions seem to get around this restriction, so presumably mooring installation and maintenance could do so as well). Some cruisers bring lengths of chain to wrap around dead coral-heads to create make-shift moorings. Properly done, these moorings do the least damage to the coral and are probably the safest for the boats as well. We hate to anchor in coral - it damages both the coral and our ground tackle. Since there are ample sand anchorages in other places, we tended to avoid Boddam unless there was a mooring we could use. Not surprisingly, the weather can change suddenly, bringing steep chop and swells from unexpected directions, sometimes placing boats on a lee shore. Vigilance is always needed, as testified by the remains of several wrecked yachts still lying inside the lagoons. What's Chagos like? The islands surrounding both Peros Banhos and Salomon are lush with coconut palms and a few fine old hardwood takamaka trees. Red footed boobies, noddies and terns all nest on the islands, and large purple brown coconut crabs scuttle about under the leaf litter and on the lower tree trunks. Ashore on both atolls are the ruins of docks, homes and churches once used by the Chagossian people in the early 1960's and before. The surrounding reefs are alive with fish, marine turtles and sharks (but not to the extent found in French Polynesia!) Inside the lagoons, the water varies in depth from a few centimeters over the bommies to about 50 meters. 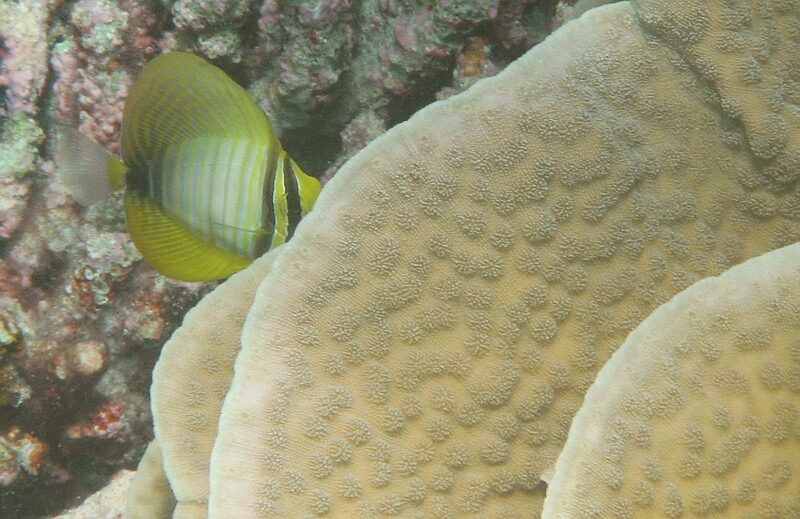 Snorkeling visibility is excellent, varying only with the state of the tide and weather. The marine life is awesome! As of 2011 the lagoons are now the playground of small reef sharks which were not present 3 years earlier due to extensive illegal shark killings. Water: There are several old wells on the islands - many on Coin and Boddam but most islands have at least one well. Fresh water floats on salt water, so rain that falls on the islands tends to accumulate in a "water-lens" just below the ground. Most of the water isn't really drinking quality, but it's fine for washing. One of the yachts cleaned out an old well, poured in a bunch of sand as a filter, and waited a few days for everything to settle. Then a small pump and charcoal filter were used to fill the tanks of any boats that wanted good drinking water. It tested out at 350ppm of total dissolved salts, which is fine for drinking. Rules: Yes, there are rules in "paradise." 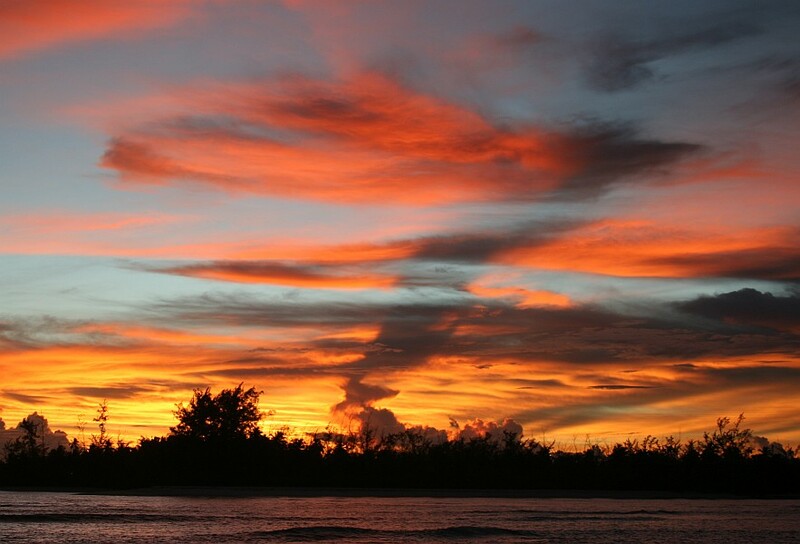 Chagos is a corner of paradise but it will only be there for others if we're all conscious of "leaving a clean wake." In a nutshell, that means obeying the BIOT rules for conduct, fishing, and anchoring. All flora and fauna are protected, meaning we should "Take only photographs, and Leave only footprints". When you receive your permit, you will be sent the current regulations and anchoring information. Social life: Chagos used to breed its own little communities of yachties, usually comprised of those who were multi-time visitors who stayed for months at the time. Now however, with the greatly curtailed time restrictions, the majority of yachts are those who only pass through once, staying a a few weeks before sailing on west or back to Asia. There is great camaraderie amongst the yachts, and a mixing of both new comers and old-timers. There are many excuses for potluck parties and daily "sundowners" on the beach, but the anchorages are large enough and plentiful enough that those seeking solitude and time to quietly commune with nature will find ample opportunity. Surviving the Isolation of Chagos: There is NOTHING here that was not put there by nature or brought aboard a cruising boat. No store, no supplies, no emergency repair facilities. But of course, that's part of the appeal of Chagos! All yachts arriving should have enough provisions on board to sustain themselves during their intended stay (including those days it is too rough to venture out fishing in the dinghy) plus their passages either east or west upon leaving. 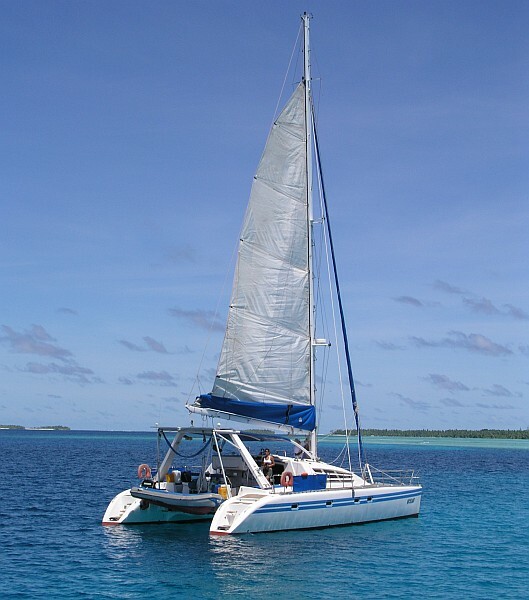 Before arrival, provisioning can be done easily in the Seychelles, SE Asia or Sri Lanka, and many staples are available in Addu, the southern-most Maldivian atoll, which is just a few hundred nm north. Boats used to return there for provisions but with a 28-day limit that is hardly needed. Since line-caught fresh fish is a mainstay and the best fishing is outside the fringing reefs, it pays to bring as much outboard fuel as possible. The fishing is awesome, but it's infuriating to see anyone treating Chagos as a tropical supermarket, filling the freezer for future use. Staples (such as rice, noodles, flour, seasonings) are easy to keep aboard, but the fresh fruit and veggies become a challenge. There are some wells with fresh water -- either non-potable for laundry or drinkable if filtered. Some yachts have mastered gardening aboard and grow herbs, small lettuces and tomatoes on their aft decks! Arriving with a full stalk of bananas guarantees you a chance to meet some banana-starved yachties in your first days there. Because we are not to bother BIOT or the military base of Diego Garcia for anything short of a life-threatening emergency, the Chagos cruising community is self-sufficient -- there always seems to be some yachtie to help with a broken computer, generator, ripped sail, broken tooth, earache, whatever. Bring your own skills and be prepared to barter for what you need. It's a great community. Love It or Lose It! Visiting Chagos is a privilege, not a right. With consideration for others who follow, we can do our part to be sure the privilege continues for many more years!